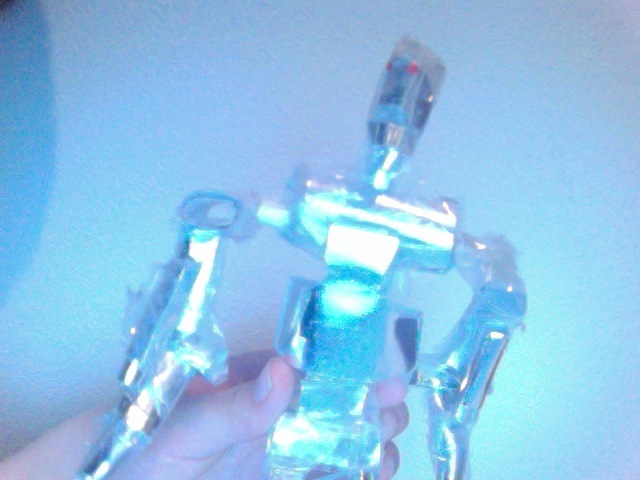 This is my T-800 model which is made entirely out of silver paper, a huge amount of tape, and a tiny bit of red paper. 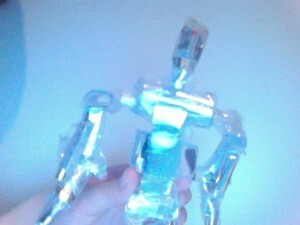 Based on the terminator in “Terminator Salvation” , This model was only constructed recently. This took approximately 1-2 hours to build. More to come.